When buying your first serious espresso machine, we suggest picking a semi-automatic or super automatic. You’ll need a good machine regardless of whether you’d like to have a straight shot of espresso or a latte or cappuccino. Generally, there are two main types of espresso machines. There are steam-driven espresso machines, which make strong coffee instead of real espresso. Then there are pump-driven ones, which make real crema-topped espresso. These are subdivided into semi-automatic espresso machines, which need some skill to operate, and super-automatic espresso machines, which are easy to use. Pod machines involve putting a pre-packaged capsule or pod into the machine. Pump espresso makers are equipped with a thermostatically controlled boiler, which heats the water to its optimum temperature and then passes through the ground coffee at the relative bar pressure. That’s why it’s important to choose the best espresso machine for your intended use. Below are our top picks. You’ll be sure to find one that suits you. 16.0.1 You probably don’t feel as bad about spending more on a coffee machine than a stove now, do you? 17 How Does an Espresso Machine Work? 18 What are the Different Types of Espresso Machines? 19 What is a Coffee “Puck”? 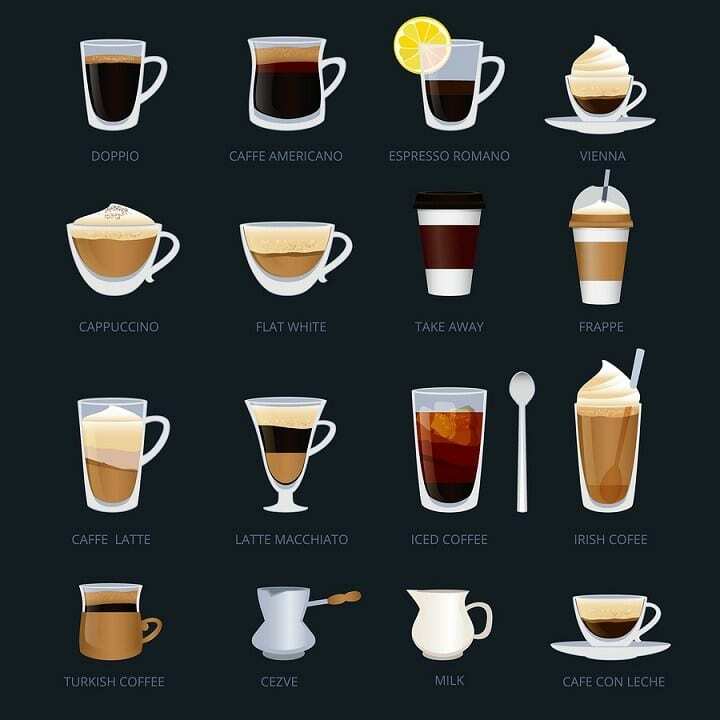 20 What Kind of Coffee Should I Use? 21 What Types Of Espresso Can You Make With Your Machine? 21.0.1 You can’t wait to get creative? We have the following suggestions – some of them are a lot of fun to make! 22 How Do I Use My Espresso Machine? 23 How Do I Clean My Espresso Machine? 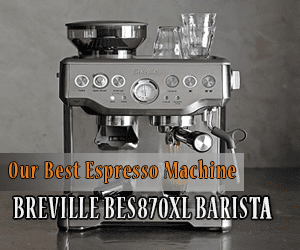 Breville BES870XL Barista Express is your best option if you want to enjoy amazing café-quality espresso at home. This machine offers key commercial-grade features, affording the convenience of in-home use without compromising your brew’s quality. This model is the latest improvement on the Breville BES860XL Barista Express. It is available in stainless steel, cranberry red, and black sesame. It’s a semi-automatic machine. All you’ll need to do is load the coffee beans and replace the water reservoir. The machine has a built-in 15-bar pressure brewing pump, a conical burr grinder and another built-in heating system, which automatically adjusts the water’s temperature to guarantee good-quality coffee. Your family or coworkers will love it! There may be some minor steaming or pressure problems. If this happens, just call the company’s excellent customer service – their representatives will help you. The De’Longhi Magnifica is a fully automatic espresso machine making authentic Italian quality espresso, lattes, and cappuccinos. The machine features a dual Thermo-block system ensuing optimal brewing temperature. The De’Longhi Magnifica features an easy to clean, extractable brewing unit that delivers optimal brewing pressure and adjusts the quantity of coffee for 1 or 2 shots of espresso automatically. The integrated burr grinder is made of durable stainless steel. It always delivers coffee grounded to perfection with its 13 adjustable settings, delicious and fresh every time. The easy to use control panel’s coffee strength and quantity control dials enable production of customized beverages. There’s really nothing bad to say about this machine, except for minor, easily solvable pressure issues. Mr. Coffee has a long-standing reputation in the coffee-brewing business, having been around since 1970. This makes the brand among the most demanded espresso machine makers in the industry. This espresso maker is semi-automatic. You will have to adjust the filters and place the coffee beans manually. 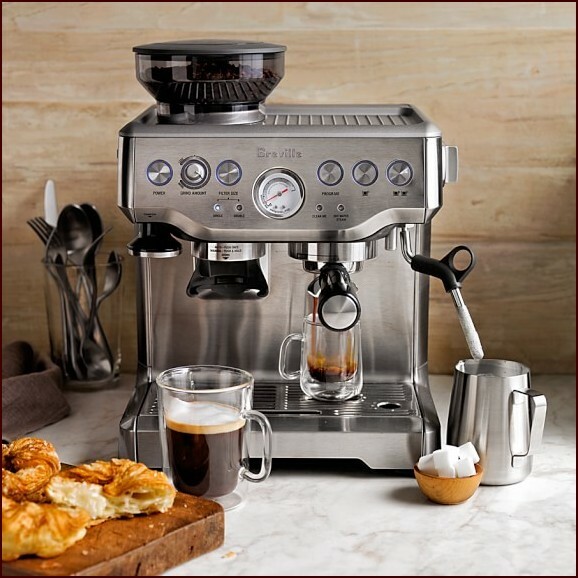 It has an automatic milk frothing mechanism and a 15 bar pressure pump brewing system for optimal quality. It is easy to clean and use in general. You can choose the type of brew you want on the front control panel. After using, remove the milk tank for storage or the water reservoir for refilling. If you’re using it for the first time, remember that the espresso machine needs to be cleaned before use. All of the espresso makers of this company come with a detailed instruction manual explaining how to prime the machine before use. The manual also includes free coffee recipes, measuring scoops, two shot filters, and a coffee tamper. The Mr. Coffee Café Barista Espresso Maker comes in three colors – red, white and stainless steel black. This espresso machine is one of the smallest brewing systems on the market today (detachable), so you don’t have to worry about it taking up too much space on your counter. Thanks to the digital programmable menu settings, you will have full control over how your espresso tastes. They are used to adjust water hardness, start time, coffee temperature, and clock among others. 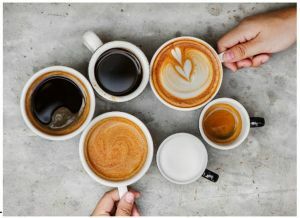 We all know people prefer different coffee strength – this depends not only on the person, but also the circumstances and other factors, like time of day or how much sleep you got the night before. In a few words, everyone wants their coffee to be either mild, stronger or in-between. This machine offers 5 coffee strength options to choose from, ranging from extra strong to extra mild. There are also three cup sizes to choose from – large (America coffee), espresso (medium), and Ristretto (small). It is very easy to clean this machine thanks to the decalcification system it is equipped with. The automatic indicator lights up to show the machine needs cleaning. Another great feature is heat control. DeLonghi’s patented and compact Direct to Brew System ensures even distribution of heat to make for a delicious, flavorful and aromatic cup of coffee. 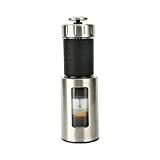 The professional-grade conical burr grinder helps you produce fresh, aromatic, delicious, and consistent coffee or espresso. You can also adjust the grind settings to get the coffee or espresso to taste exactly the way you want. The machine’s cup warmer helps maintain the aroma, taste and flavor of your coffee or espresso, guaranteeing it will taste great every single time. The LCD display – it is very useful because it shows when you need to descale the machine, add water or beans. Every function of the machine can be controlled with it. This machine has, statistically speaking, the lowest breakdown rate of all other espresso machines on the market. The automatic frothing system is very easy to maintain and use. The grinder is a little noisy and you can’t grind oily beans. We don’t recommend using the machine at odd hours because you’ll wake a family member or the neighbors. The Gaggia Classic Espresso Machine (model 14101) is a combination between a semi-automatic espresso and a coffeemaker. It is a bestseller in its class, notable for its durability among other things. This company was among the first coffee-maker manufacturers in the United States. This is the main reason why you can still find many coffee lovers using the company’s older models after decades. There have been some complaints about modifications in recent models, but proponents of the machine agree that it still makes the same great-tasting coffee. One obvious drawback is the weight of this espresso machine – a solid 22 pounds! It is much heavier than its counterparts from other companies. The Gaggiga Classic weighs so much because of its brushed stainless steel finish and build. 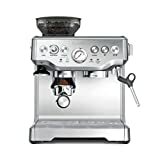 This machine features a 72-ounce water container, frothing wand, brass porta filters, tamper and hot water dispenser, measuring scoop, and a bar pump with high-voltage boiler – all key aspects of a great espresso machine. This model lets you choose between single-shot and double-shot. The electronic display on the front of the machine shows temperature and signal lights, if the machine is on or off. You will need to use pre-ground coffee if this is your first time buying an espresso machine, because it is a semi-automatic. Also, you’ll have to learn the correct way to tamp it under the right pressure. It is natural to make adjustments before you discover your own preferred blend. At any rate, this process will be simplified with the Gaggia Classic Espresso Machine by your side. The first and most obvious plus of this machine is its weight – a mere 5 pounds! Look no further if you’re looking to try out a Nespresso pod coffee system. It’s incredibly compact and has plenty of functionality for an entry-level model. It comes with the standalone Aeroccino3 milk frother. The Inissia’s repertoire is expanded to encompass cappuccinos and lattes. You have lots of choices with the range of 22 Grand Crus and compatible pods from third-party companies. The machine also comes with a variety pack of 16 capsules. The machine is available in cream, orange, grey, or black. There’s nothing special about the shape of the Inissia, but its worktop footprint is remarkable. It’s minute compared to similarly priced machines and just under 5 inches wide – no kitchen would be too small for it. Interestingly enough, its small size hasn’t impacted the size of its water tank much. It’s not very impressive at just 700 ml, but considering the dimensions of the machine, it fits more in than you might think. There is a perforated removable drip tray and an internal bin for used pods, so you can make several drinks before you need to empty it. Brewing drinks is pretty straightforward – the espresso and lungo buttons are the only ones, also serving as on and off. The machine is ready to make coffee within 25 seconds of switching it on. To insert a capsule, you have to rotate the front bar backwards. This opens up a slot for the capsule to drop into. Then you return the bar to the front and alter the quantity of water depending on whether you want a short or long coffee. The machine stops automatically when finished. Rotate the bar to the back again to release the used capsule. The optional milk frother takes about a minute to heat, faster than comparable models. It’s operated via a single button on the front. The whisk and lid are detachable, but the body of the machine can’t be immersed in water for cleaning. After cleaning, the whisk clicks back into place. The machine comes with a three-year guarantee, and the quality of the beverages is amazing. Getting the capsule into the slot involves a little bit of practice. If it’s not in the right position, the bar won’t close fully. This commercial-grade machine has many great features, among which One Touch Latte, memory and LED display. Other similarly priced models make it an effort to achieve creamy delicious foam, but this one doesn’t. The impressive Latte Cream System is actually patented, and also has a cleaning function. The memory feature is extremely impressive. There are five strength settings for your coffee and four one-touch drinks. The LED display panel is easy to read and use. There is a timer to plan when you want your coffee and to turn off the machine, automatic shut off, and temperature adjustment. One of our favorite features about this machine is that you can pick the strength of your coffee. If you’re very busy and want to make a fantastic cup of coffee or espresso, this is a great machine. The instant 1-touch drinks make it convenient and easy to use. Finally, the design is extremely sleek. It will look great in a kitchen with stainless steel appliances or any commercial establishment like a restaurant or a coffee shop. Very beautiful silver design – definitely recommended if aesthetics are a consideration. Plenty of options for strength. It can be challenging to set this machine up. You can do this through the LED panel. Simply hold down the button down for a full three seconds when selecting a language. At first, the temperature of the water and milk isn’t that great. However, you can change the temperatures of the water and milk. You can’t make much at one time – just one or two great cups of coffee or espresso. 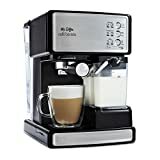 De’Longhi’s 15-bar pump espresso and cappuccino maker is a bestseller where semi-automatic espresso machines go. Its 15 bar pressure pump makes it unique. This results in optimal brewing pressure. The machine also comes with a small built-in tamper and a frothing wand. It has a patented dual function filter holder. This helps you prepare your serving of espresso fast and simple. It has a self priming operation, so you don’t have to wait too for it to start up. If you want to experiment, this espresso machine is for you. You don’t need to be particularly knowledgeable in order to use it well. Most users report having used this machine for well over 5 years. It is not immune to faults, but is nonetheless a worthy alternative to other high-end machines on the market. At less than $100 for this machine, it is really a best bang for the buck choice. The Nespresso brand of espresso makers is of European origin and was not available in the United States until a few years ago. Now, this espresso maker is one of the most popular espresso machines on the market due to its durability and its top quality coffee. Nespresso’s Pixie Espresso Maker is a super-automatic espresso model, meaning you no longer need to grind coffee or adjust pressure settings and temperature manually. The Pixie machine is part of a line of espresso machines that are compact enough to fit in any kitchen or office, no matter how small. It bears a likeness to an oven toaster and features 30-second preheating time, a removable water tank, and an adjustable dip tray to fit small or tall glasses. It also lights up when the water level is low, and shuts off automatically. This machine works with Nespresso capsules just like other automatic espresso machines. You can also try other Nespresso compatible pods available in the market. New buyers of the Nespresso Pixie get a free pack with 16 Nespresso Grands Crus capsules. This way you can try the different coffee flavors and aromas that Nespresso offers. The Staresso SP-200 Coffee Maker is a noteworthy portable espresso and cappuccino maker. You can operate it manually without the need of a power source. While it may not have all the high end features of the other espresso makers, we chose it because it is the most portable option, while special producing a good cup of espresso. 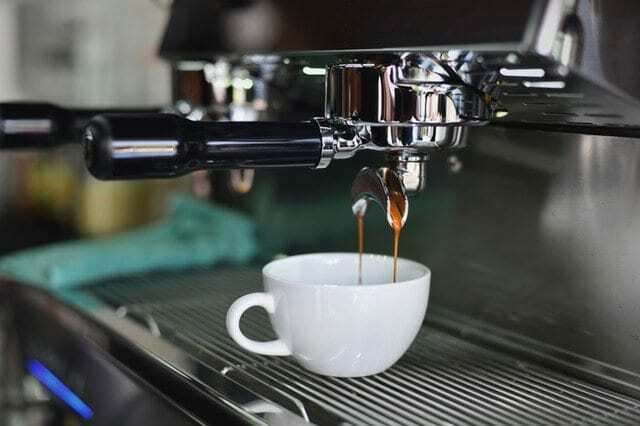 It can produce between 15 to 20 bars of pressure to guarantee an authentic espresso with a full crema perfect for a variety of coffees, among which Americano, cappuccino and latte. Impressive and robust, the machine guarantees consistent espresso extraction and is easy to use. The frothing pump drips after use and it’s a bit noisy. There are a few important elements that determine the quality of an espresso machine, including parts, boiler, adjustability and more. Let’s look at these aspects. When looking for a coffee machine, look for stable and replaceable parts because you want the machine to last longer. All of the espresso machines reviewed here have replaceable parts, which you can find online. Another issue is the boiler. There are 3 types of boilers in espresso machines: aluminum, stainless steel and brass. The best is brass, because it won’t corrode or breed bacteria, but this contributes to the price. The worst is aluminum. It’s budget-friendly, but corrodes. The optimal choice is stainless steel, because it won’t corrode easily. On the downside, it is said to attract bacteria. A key consideration is user-friendliness. Maybe you are a great barista, but is everyone in your household? Take this into consideration when buying a machine and check out our section on “How to use your machine” below. As far as adjustability goes, go for a machine with spouts that can be adjusted if everyone in your household or office wants a different size of coffee. If you’re always on the go, then we suggest getting a machine that makes your coffee real quick in the morning. However, don’t compromise on safety. Check reviews online to see whether the model you intend to buy has any safety issues. Finally, if you’re not good at cleaning, go for an easy to clean option. Obviously, you don’t want to spend more on an espresso machine than you did on your stove or fridge. But the general principle of economics is valid here too – you get what you pay for. We believe the life cycle of the coffee machine you’re about to get is more important than its price and that it, in fact, is directly proportionate to it. The machine’s life cycle or life of ownership is contingent upon planning to use the products wisely and your expectations of how they will work. The purchase of an espresso machine is a lifelong investment. You can justify the cost when you consider where you want to go with this product. If you are hoping it will last a decade or two with daily use, the investment will pay off. I bought a coffee machine for over a thousand dollars five years ago. Recently, I upgraded to a newer version of it and sold the old one for around $700. This made my investment in the machine at around $300 only, and I ended up with a new espresso machine. 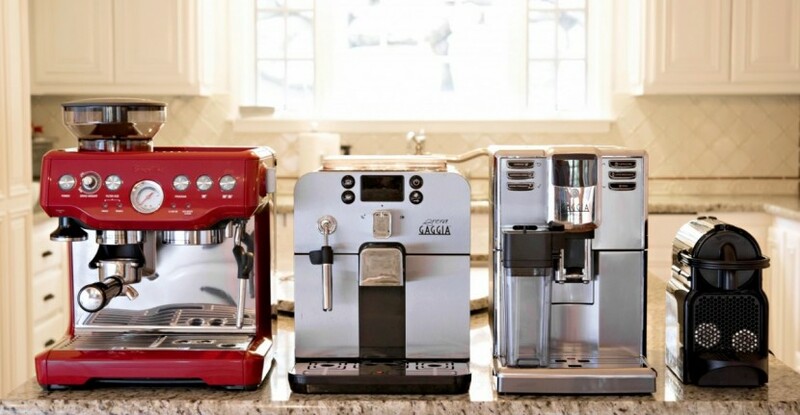 Think about how long you expect your espresso machine to last when deciding on your budget. If you are going to buy an espresso machine without a grinder, deducting the amount you’ll spend on a good grinder. Think about the cost broken down over the next two, three, four, or five years of ownership. It could even be 10 years if you plan on it lasting that long. All of a sudden, the high-end machines reviewed here won’t look so pricey when the cost is distributed over several years. The bonus is that most espresso machines priced at around $500 (plus or minus $100) are really built to last. Almost all of the machines reviewed here are built with many commercial parts, and the same goes for grinders. We know it can be tempting to buy the cheapest espresso machine you can find that has a few decent reviews. And you won’t always be wrong to do it – there are many machines, including some of these here, costing $150 to $250 that have the minimum specifications required to make a great shot of coffee. We are convinced that you can make great espresso with a $200 machine. The point of this review was to help you choose wisely. Don’t fall in the trap of getting a $200 machine that will end up breaking down in a year, requiring a $100 boiler replacement. Also, the outer plastic body tends to crack in cheap espresso machines. Another risk is the pressurized filter starting to fall apart. All of a sudden, it makes spending $1000 on a more professional machine seem much more reasonable and less stressful than mailing a $200 machine to the other side of the country for repair. All while suffering the pain of lack of espresso for a period that may well exceed several months until you get your machine back. Another important issue you want to consider is upgrading. The types of people who get top-end machines are one of three types: to attract attention, to enjoy great coffee and to upgrade to something better at one point. For the latter two types of user, spending a lot right off the bat on a well-researched, planned product will pay off for sure. Chances are you’ll be using the machine almost every day, and the commercial-grade quality of the interior parts on a pricey machine means not having to worry about breakdowns or any other issues. A true coffee lover gets a machine that can withstand heavy use, which will also give them good resale value when it comes time to upgrade. You probably don’t feel as bad about spending more on a coffee machine than a stove now, do you? I know what you’re thinking. Does a high price guarantee it won’t have any problems? Are more expensive machines really less prone to damage? I couldn’t argue that. There are plenty of stories on forums about $1,000 machines requiring trips back to the store. One advantage of more expensive machines is that they use commercial-quality parts that are readily available to most vendors and machine repair centers. And usually, if problems don’t surface right away once you open the box and start using the machine, your investment will most likely give years or even decades of worry-free service. If you plan on getting a brand that is made abroad, you should know that most of the espresso machines available today are handmade in Europe in very small series. Handmade sounds great, and generally is exactly what is sounds. However, it also means that there may be more quality control issues than if you get a factory brand that churns out hundreds of thousands of machines of a specific make each year. After purchasing your espresso machine, you may find yourself wondering exactly how your espresso machine works! Below you will find a step-by-step explanation of how your machine provides you with mocha enjoyment. An espresso machine takes water and pressurizes it. Once the water pressurized, the machine begins to boil the water. Then, the boiling hot water is forced over a semisolid mass of coffee. Once the water comes out, it has turned into a thick espresso which can be drunk or used in different beverages. Essentially, espresso machines have varying methods of moving the water through the machine. This is the primary difference between each style of espresso machines. A steam-driven espresso machine is the most commonly used style of espresso machine. This machine uses a boiler system, which uses steam to create pressure to move the boiling water to your coffee. These were originally used because they could be used for several different coffee makers in one machine. Steam-driven espresso machines provide a slower, but steady, force for the water. This provides a better brew, because the water capacity is consistent. We highly recommend using a steam-driven espresso machine for your at-home needs. Meanwhile, a pump-driven espresso machine uses the power of an electric pump to move the water. This still requires the use of a boiler system to heat the water, however. These are found to be much more reliable in home systems. In terms of coffee flavor, this is another excellent option. As this pump is totally automated, there is no variance in the speed of your brew. However, this can be challenging as well, as you are not sure if you enjoy the brew until you use the machine. Remember, with an electric pump the machine will simply not undergo a speed as slow as the steam-driven. Air-pumps are a new style of espresso machine. These machines use compressed air to move your hot water through the machine. This air can be moved in a number of ways. First, you have the option of using a CO2 tank. You could also use a hand pump to force the air through the machine. Either of these methods is extremely effective. Keep in mind, this espresso machine is primarily a commercial option. However, if you travel a lot or move often, this is the ideal machine to carry. Because everything is air driven, there is not much weight behind it. A negative to this machine is that the CO2 tank can sometimes change the flavor of your coffee. While many coffee lovers do not mind the slight change in flavors, others are extremely bothered by this. Be aware of your preference before purchasing a machine. What is a Coffee “Puck”? A coffee puck is the type of coffee grounds used in espresso machines. This coffee is ground very finely and is then compressed until it resembles a coffee puck. This happens so that it is more difficult for the water to soak through the grounds, causing a stronger brew as a result. You can create your own coffee pucks at home or you can purchase pod pucks. These are premade coffee pucks which you simply have to place in your machine. As with any coffee, there are varying styles, so don’t be afraid to try different pucks! A common question is what kind of coffee should be used in an espresso machine. Many espresso machine owners prefer to use only espresso blends. However, it’s important to keep in mind that the coffee makers believe that blend will taste best through the espresso style of brewing. There is no specific type of coffee to use. But what are the various types of coffee you can use for espresso? Well, there are two main types of coffee bean, the Arabica and the Robusta. This is the most common type of coffee bean, making up around 60% of the coffee beans available. This bean makes up the most common types of coffee, such as Colombian, Ethiopian, and Java. Arabica beans are sweeter and often have an underlying fruit flavor to them. They are, however, very susceptible to disease. This means they are more difficult to grow and it can be a challenge to keep the plants healthy. Robusta is much rarer and much more expensive than Arabica. Robusta beans have a much harsher flavor to them. They are very raw and earthy. Though this bean is easier to grow, often the way that companies grow them are considered unethical. This is why the Robusta bean is less popular than the Arabica. There are other varieties of coffee beans available as well. These are Liberica and Barako. Both of these coffee beans are much more expensive. This is because of how difficult it is to keep these plants healthy. What Types Of Espresso Can You Make With Your Machine? So you’ve bought your espresso machine – or haven’t yet but are wondering what you can make besides the regular espresso and cappuccino? Check out our list of delicious beverages below. Depending on the machine, there may be no limit to what you can make – you can practically make everything on the Starbucks menu with some machines. You can’t wait to get creative? We have the following suggestions – some of them are a lot of fun to make! Café Breva – Cappuccino with half-and-half milk instead of whole milk. Mocha/Mochaccino – A cappuccino or café latté with added chocolate syrup. Café Latté – A shot of espresso with steamed milk at the ratio of 3:1. Americano – A shot of espresso watered down with about 7 oz of hot water. Café Macchiato – A shot of espresso with steamed milk at the ratio of 4:1. Cappuccino – Equal parts of espresso, steamed milk and frothed milk. To make it look restaurant-served, you can add whipped cream, chocolate flakes or cinnamon sprinkled on top. Dry Cappuccino – A cappuccino with less foam and no steamed milk. Shot in the Dark – A mix of drip coffee and one shot of espresso served in a regular size coffee cup. Also known as Hammerhead (for some reason that’s beyond us). Frappé – A cold espresso with ice and milk, just like a coffee milkshake. Espresso Con Panna – Espresso with whipped cream on top. How Do I Use My Espresso Machine? Before using your espresso machine we suggest buying an espresso grinder, espresso beans, demitasse cups, and water. Be aware that bottled spring water is not the best option. The amount of minerals found in spring water may ruin your espresso machine. We recommend using filtered water instead. Pour clear, cold, filtered water into the water chamber of your machine. Secure the boiler cap. An ounce of water per shot is needed. Put the coffee basket in the filter holder and lightly pack in the ground coffee. Most filters help you to measure how much espresso you want. Remove any grounds on the sides and top of the filter and then place the filter holder in the espresso machine. Put your cup or glass carafe under the spout. Turn on the machine and when the water is heated to the right temperature it will then move through the coffee grounds. Remove your cup or carafe when the foam starts to turn white. The perfect espresso has brown foam, which Italians call “crema”, on the top of the coffee. When it starts to turn white, this means that the best tasting liquid has already been extracted. You have heard that you need to clean your espresso machine. Do you know how? If you decide to get a super automatic, it is equipped with automatic cleaning functions, and you can skip this part. However, if you decide to get a semi-auto or pod machine, take the following steps to clean it. 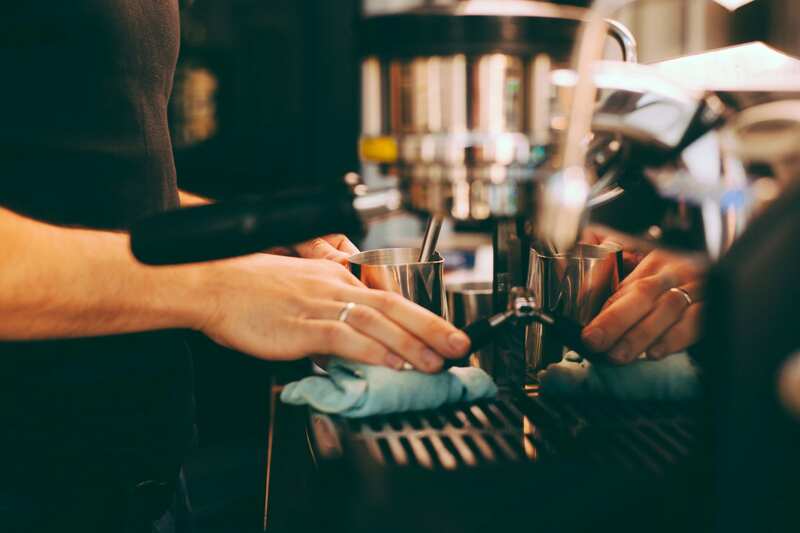 Your espresso machine needs to be cleaned on a regular basis: after every shot, daily, weekly and every 3 to 6 months, with the procedures being different according to the routines. If you are conscientious about this, your espresso machine will shine and have a long, healthy life. This could very well be the simplest and easiest cleaning process. All you need to do is clean the milk wand thoroughly using a damp towel and release some steam to get rid of any milk trapped in the nozzle hole. Then you can make another cup of coffee. If you don’t want another coffee, you should empty the filter basket and rinse thoroughly starting from the head of the group, then wipe it dry and put it back in the machine. To rinse out any remaining stains after that, run some water through the head from the spout. Wipe off the residue on your shower screen with a damp towel and put the backflush portafilter basket in the portafilter. Run water though the group head and move the filter handle around to rinse water over the shower screen and parts around the group head. Keep in mind that the water splashed out is hot and use lower boiler temperature to prevent getting burnt. Tighten the filter handle and run water into the group head like you would if you were making espresso. For 15 secs, let the water pressure in the machine build up, then release it. The stains will go out along with the water. This process is known as backflushing. You should repeat it at least four times or until the water released from it gets clear. Remove the drip tray and portafilter. You may notice there are small coffee particles and the water has a brown tint. To remedy this, rinse the drip tray and remove any undissolved detergent if you are using such. Reinstall the portafilter and drip tray after cleaning. This is very similar to daily cleaning. The only difference is that you will need to add detergent for weekly cleaning. Measure the recommended amount of the detergent as instructed by the manufacturer, then pour it into the portafilter basket. Install the backflush basket into the portafilter and add the recommended amount of detergent into the portafilter. After that, you just have to follow the steps outlined in the daily routine. You also have to soak both the backflush portafilter basket and the portafilter in a water container with detergent and scrub them clean. If your group head is removable, you need to scrub it clean as well. Just remove it and soak it into detergent water. This routine is intended to remove minerals collected in your machine, so it will depend on the hardness of water. The lower the mineral content, the softer the water is. Water strips or test reagent can be used to test hardness of water. Empty the water reservoir and fill it with descaler of appropriate amount or according to the manufacturer’s instructions in the user manual. Start the machine for the descaler to enter the boiler and pipes. Run some of the solution through the group head and hot water wand too and leave the machine switched on for at least twenty minutes with descaling solution in it. Empty the reservoir and refill it with clean water. Rinse the machine as you did before. Repeat as needed. You could use a litmus paper to test the pH of the water to make sure there isn’t any descaler left in the machine. Rinse with clean water again if the blue litmus paper turns red. Last but not least, always remember that there is no such thing as a perfect espresso machine. Try to get the best one within your budget range. We hope we’ve been helpful with this review of the top 10 espresso machines. I love coffee but I had never before considered buying an espresso machine till now. After reading all the possible beverages that can be prepared I’m starting to think is a good idea to get one, especially to share good moments with friends and family. I’ve had a nice time with Nespresso, but I still doesn’t feel like it’s real coffee. Now, reading the review of De’Longhi EC155 15 I felt like this is totally worth trying – as you mentioned, it is perfectly affordable for someone experimenting. Besides, I know people who have De’Longhi machines for ages, so they seem totally reliable. 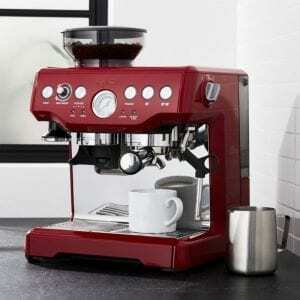 Well detailed review here on Espresso machines, I have always loved DeLongi ESAM3300 Magnifica. I love the fact that it’s super automatic and direct to brew. DeLonghi America ECAM28465M prima Donna is great, a super automatic Espresso machine.it compact,elegant and easy to use daily. well i was looking as the nepresso for 109. but i brew about 2 pots a day on average for my household. im not sure i’d want to spend more then the budget one (79) . Either way, I want the best espresso machine on budget. I think I’ll go with the $79 option. This is really good for someone who loves coffee, just like me. I personally want Breville BES870XL Barista. I t is really the best! i’ve always wanted to work in a coffee shop to actually learn about the speifics on how they make the magical drink—the coffee. after reading this i am convinced to buy and try out an espresso machine. i think this article is really helpful in guiding us what to expect and what type of machine will really work for us. thank you so much for sharing this! Espresso machines are way way expensive. And no matter what I do to want and get one it’s to uneconomical for me. I guess if I have a coffee shop I’d think about getting one. Despite not wanting to buy an espresso machine, I can totally see the benefit of having one! I applause you for getting all these information. Cheers to you! I don’t get why the Nespressio Inissia got a lower rating. It is very affordable and good at that price. Upgrading is really one of the hardest consideration when buying something. Every once in a while, companies will release a different kind of espresso machine that will surely attract customers with their innovating quality. I think what’s most important is how long it takes to make it. I hate waiting but I know it’s a process.. I will go for the Nespresso inissia Espresso machine, though cheap as it under $200 but its compact, portable and easy to use. This was my first espresso machine, although I did have experience making espresso during my many years as a server. I mostly have loved this machine, and after 6 years, I can tell the pump is going out so I came here to review it while I shop for my next machine. I’ve essentially had all of the same issues that other reviewers have had. When you turn the machine on to to heat up, it does leak a little water into the drip basket. I’m not sure why anyone would care about this if it’s going into the basket, but it does happen. The steaming wand does leak for a few minutes after you’ve used it. I just put a napkin under it or left the small rag that I use to clean the wand anyway. I personally wasn’t really bothered by this. Also, like others complained, there is not enough space under the handle to fit an actual coffee mug. This was slightly annoying when I realized, but I bought perfectly sized (and fairly inexpensive) espresso cups at IKEA. Fit perfectly so I stopped caring about this as well, as I usually drink espresso straight and don’t need a full mug. But if you do want to use a full mug, you’ll have the added step of brewing the espresso into one cup that fits, and then having to pour it into the mug you plan to drink from. Overall I could not be happier with the bang for my buck here. Six years of pretty much daily use (double shot). I’ve impressed many guests with my cappuccino skills. If you like to try different beans and brands vs. brewing your fave consistently, I might be a little iffy. I’ve noticed this machine is a little finicky with the higher end, more finely ground brands. To me, the best espresso machine should be Well priced, consistent, and very compact if your kitchen is tight.